The golf swing is a complex chain of movements. If one link in the chain has insufficient movement or strength, compensations must be made elsewhere. Golfers can benefit from a Pilates for golf strength and conditioning program. Linda Segerstam Founder of The Intelligent Core our golf specialist can guide you to improving your game. Cycling is a knee-sparing exercise because it does not require impact. Pilates can help to improve your efficiency and performance at whatever level you cycle. Refer to Lynn our physiotherapist for an assessment, should you experiencing any problems with cycling. Pilates in a tennis strength & conditioning programme, can help to improve your game and reduce your risk of injuries. Lynn Hammond our physiotherapist and keen tennis player, understands how important this is. Visit the Pilates Pavilion for a class or individual session and meet our Pilates for golf expert Linda Segerstam. 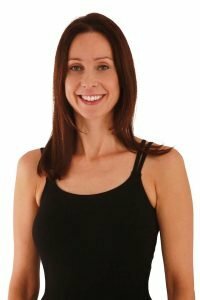 She has worked with major sports and corporate brands for 20 years and also worked with Body Control Pilates, the largest Pilates teaching organisation in Europe, developing the Pilates for Golfers teaching program. Linda set up her own company in 2014, The Intelligent Core and specialises in Pilates for golfers, teaching clients how to condition and strengthen their body to improve their golf game and stay injury free. She has been a golfer all her life, and holds a PGA Level 1 qualification. She has experience teaching Pilates to the beginner non-sports person as well as the advanced golfer. Linda is a writer and speaker, most recently at the golf industry’s leading event, the PGA Merchandise Show in Orlando, US, and the PGAs of Europe’s summits.